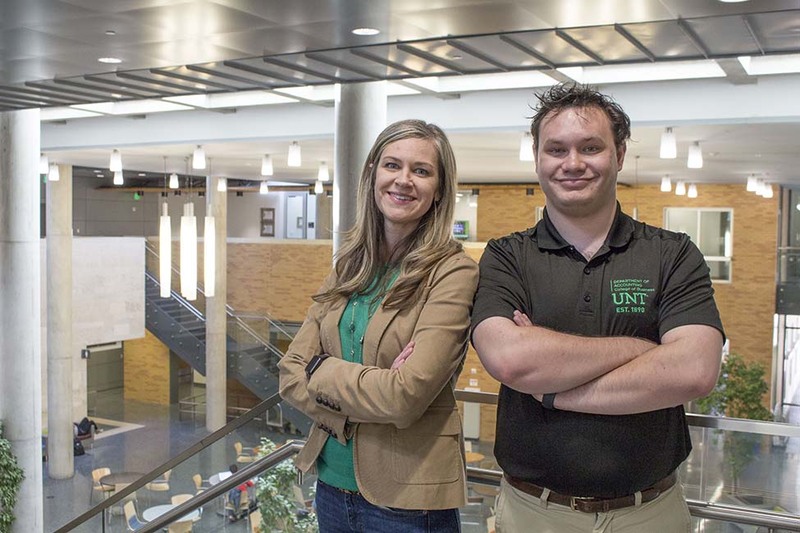 The UNT Career Center has launched a new student recognition opportunity called the Quarterly Student Spotlight to highlight students who are doing big, exciting and often innovative jobs and services around their communities. Any current UNT student serving as an employee, intern or volunteer may be nominated by on-campus employers, off-campus employers, business and strategic partners, student organization leaders and UNT faculty and staff. The nominations are reviewed by a committee of Career Center staff who then refer the top nominees on to a student committee that makes the final decision on the quarterly winner. This quarter’s winner is Michael Babich, who is enrolled in a dual master's of science/bachelors of science program in accounting with an expected graduation of spring 2019. He has been on the President’s List for a 4.0 GPA semester; served as the vice president of Beta Alpha Psi, an international accounting honor society; and was a supplemental instructor for Accounting 3110, Intermediate Accounting I, with the UNT Learning Center, where he led a section of students enrolled in their first intermediate accounting course in extra practice and taught study habits specific to accounting. He increased students’ preparedness for the extremely challenging course. Babich also helps manage internship programs and works closely with the Career Center to ensure students are signing up for on-campus interviews and following up with employers when necessary. He assists with maintaining internship records to help promote programs to prospective employers. In the recent absence of the main faculty coordinator, he also stepped up to manage an Etiquette Dinner for the Department of Accounting, hosting more than 90 students and 11 employers. For more information on the new recognition, contact the Career Center at 940-565-2105 or career.center@unt.edu. Visit DSA News for the latest happenings and successes in the Division of Student Affairs.